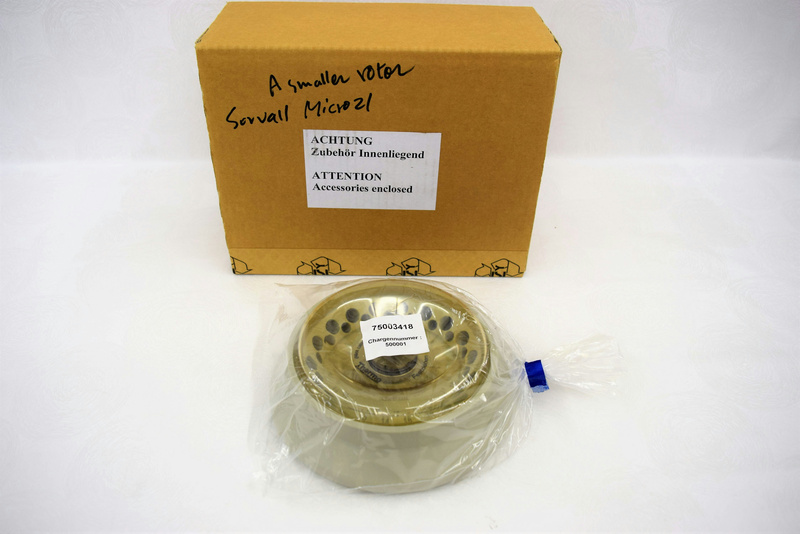 Thermo 75003418 Sorvall Dual Row Fixed Angle Micro 21 Centrifuge Rotor . New Life Scientific, Inc. This centrifuge rotor can accommodate two different size microtubes without using adapters. This product is designed for the Sorvall Micro. New in box, still in sealed plastic. One Dual Row Micro 21 rotor with screw on clear lid. Please see the manufacturers Website.